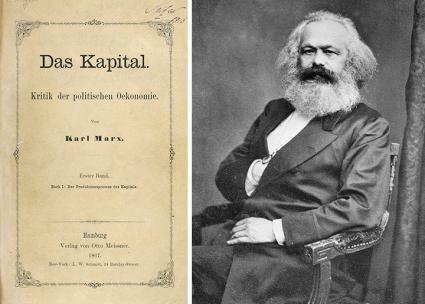 In Value, Price and Profit Marx outlines his essential arguments about the workings of capital. It provides an excellent introduction to Marx’s ideas and makes good preparatory reading for Capital Volume 1. This work, as Marx himself noted, falls into two parts. In the first part Marx is essentially attacking the so-called “theory of wages fund”, and the view that “wage increases only cause prices to rise”. In the second part of the work Marx give popular exposition of the fundamental theses of the theories of value and surplus value and of the conclusions derived from these theories. He explains the source of rent, interest and profit and outlines both the usefulness and the limitations of trade union action. Be the first to comment on "Karl Marx; Value, Price and Profit"